I've been to quite a few motorsport events through the years and while they take place most of the time around a racing track, which has numerously times been represented in racing games, nobody has quite captured the essence of such events. It's not just about the actual cars racing a perfect line on the track, so well realised in the last Forza Motorsport 4. It's also about the atmosphere, the people and the feeling of being in the middle of something truly unique were the cars and their drivers are the stars. 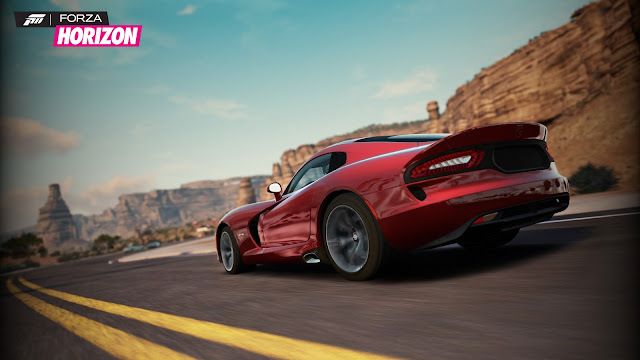 Forza Horizon represents not only a unique racing game it also captures the feeling of a huge motorshow in an incredible way. Turn 10 must have quite nervously let Microsoft take their critically acclaimed simulator racer franchise and give it over to, luckily, a very competent mix of British racing game developers. And not just any developers; a fine blend of people from games like Dirt, PGR and Split/Second fame, all fantastic racing franchises. The result is something Turn 10 are, and should be, very proud of. Enter the world of Forza Horizon. The grand canyon are of the game. The lighting in the game is incredibly well done. The result is a free roaming, motorshow event based racing game with slick menus a thumping soundtrack and breathtaking graphics. All mixed together with Forza 4's fantastic handling and car models. The whole game map is based on Colarado landscapes and is centred around a huge motorshow festival in the middle. 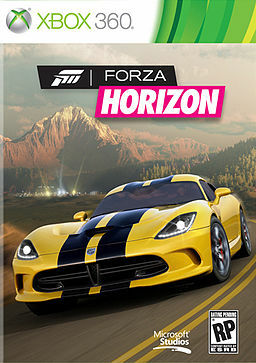 Traverse autumn leafed bends, moonlit straights, canyon twisted dust tracks and burn rubber through small towns or flat the engine on a highway The sheer variation in Horizons map is fantastic and it looks so good. 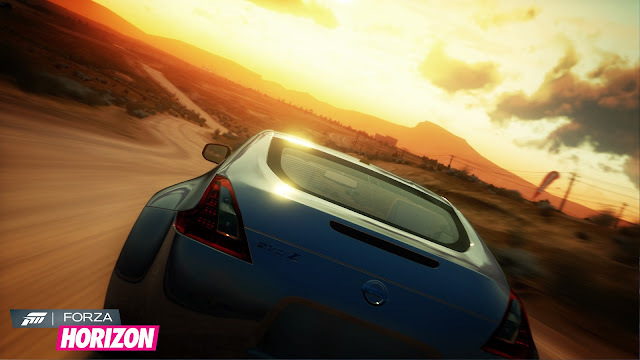 So great are the graphics it easily goes in to be one of the most beautiful racers made to date, and it's free roam! Night racing looks amazing, but is difficult. Go off-road for som rallying! 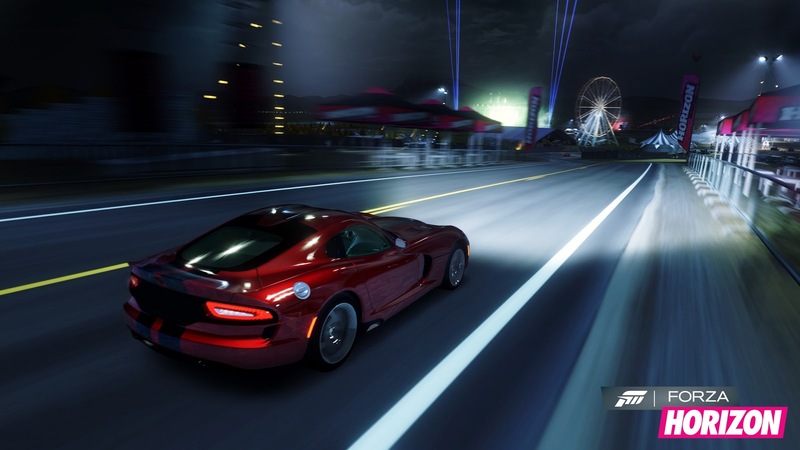 Gameplay can be tweaked to be almost Forza 4 realism without the car damage doing anything else than visual effects to really easy arcade like racing. Newcomers and Forza veterans alike will find a lot of entertainment value here. It may have a more casual approach but true motor-heads will get they're share of car fun here too. It's not trying to be a new Forza, it's trying to take great ideas from typical arcade racers and mixing it up with more realism. The fact that they also added off-road, almost rally like racing is very impressive. The handling here is kind of simple, but it's fun and adds to the variety. There are lots of cars to buy and upgrade and tons of races. Anything from street racing, to track racing, beating speed camera records or simply nailing points while drifting. The races are not really that lengthy either, so boredom never kicks in during the time it takes to complete the game. You can seriously challenge yourself by setting the AI on harder levels. 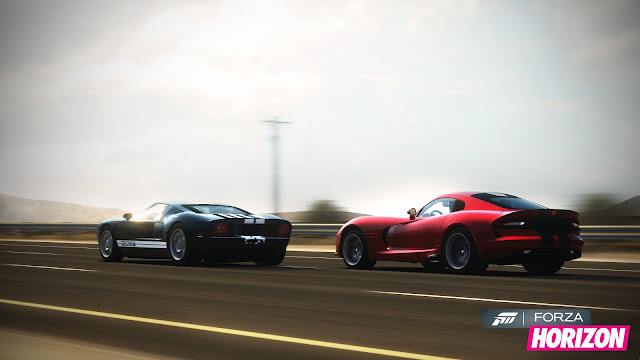 Two classic american beauties racing the highway! While there could have been an even more personal touch by creating your own character like in Test Drive Unlimited, adding a few more cars and maybe also police just for fun, Forza Horizon is without doubt one of the best racing games made this generation. 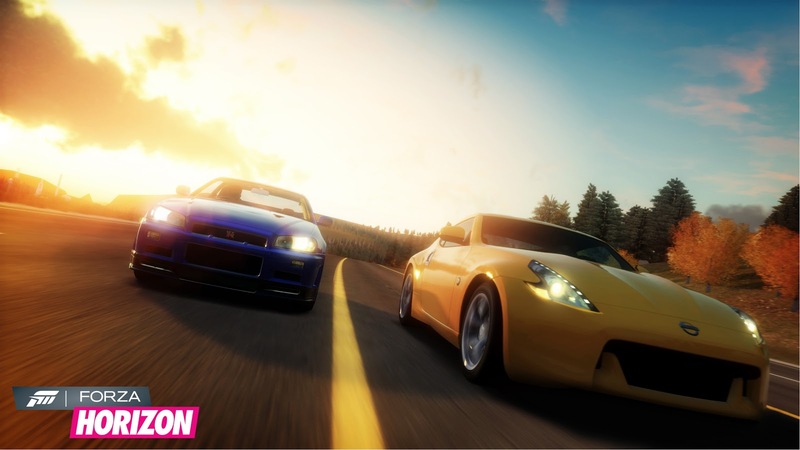 The variety in race types, environments to drive in and sheer beauty of just cruising while seeing the day change from day to night makes Forza Horizon this years best racer.